Categories: Children's Adoption Books, About Adoption, Adoption Search and Reunion, Agency Essentials, Books for Adoptees, Books for Teens & Tweens, Children's Adoption Books by Age, Classic Adoption Books, Growing Up Adopted, Older Children, Tapestry Picks. All adopted teens have questions-questions about their adoptive family, about their birth parents, and about how adoption has affected and will continue to affect their lives. But not every adopted teen knows how to approach these questions or how to handle the intense emotions and high stress often associated with them.This guide has answers. 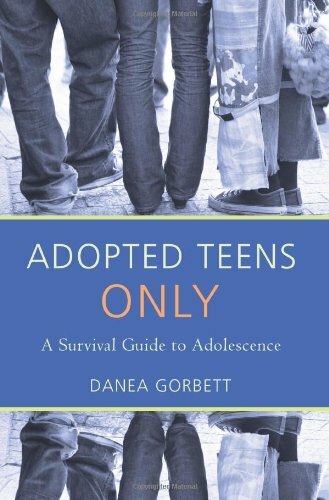 Based on true stories, extensive research, and Danea Gorbett’s own in addition to her background in psychology and education, Adopted Teens Only delivers:Suggestions for bringing up sensitive topics with all types of adoptive parentsInsight on what your adoptive parents might be going throughTrue stories of birth mothersPractical information on whether and how to search for birth parentsSeasoned advice on what to expect and how to prepare for reuniting with a birth parent.Gorbett offers confirmation that what you feel, think, wonder, and worry about as an adopted teen is normal and important, and she helps you acknowledge and celebrate the unique gifts and many advantages of growing up adopted.Comforting, empowering, and ultimately practical, Adopted Teens Only is the indispensable survival guide for adopted adolescents and anyone who loves them.